MyShayo.com, Nigeria’s leading online liquor store officially launched its website and mobile app with an invite only event tagged the biggest drinks party of the year on October 8, 2016 at Oriental Hotel, Lagos. The party featured a display of various drink brands available on its website, such as Martell, Ciroc, Belvedere, Moet & Chandon, Chivas, Zippy, Johnny Walker, Remy Martins, Jack Daniels, Glenfiddich and more. 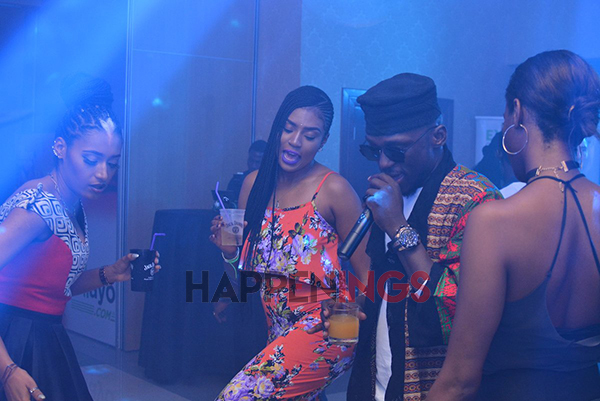 DJ Spinall was there to serve all the groovy music as guests took a taste tour of the variety of drinks on display.